Master Clean was established to provide high quality cleaning services to St. Louis area businesses. We take great pride in what we do; therefore, we direct our attention to details and reliability when performing our services. We believe that every element of the cleaning job, no matter how small, contributes to the overall quality of our service. This type of attention and personalized services is what has endeared us to our long standing clients in the St. Louis area. 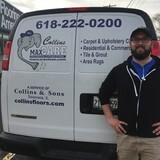 CarpetMasters Flooring Co. 624 Trade Center Blvd. Suite B Chesterfield, MO 63005, United States 636-532-1311 david@fox-brands.com <a rel="nofollow" target="_blank" href="http://www.stlcarpetmasters.com">http://www.stlcarpetmasters.com</a> CarpetMasters FlooringCo. is the premier flooring company servingthe St. Louis, MO, area residents. Based in Chesterfield, MO this business has provided the region with top-notch work, quality products, and outstanding customer service for over 21 years. Whether you need carpet cleaning, new flooring options, installation, or repair work, CarpetMasters Flooring Co.has the experienced technicians to serve you at your home or business, and a brand new flooring gallery to cover all of your new flooring option needs. If you need carpet cleaning services, contact CarpetMasters Flooring Co.for an estimate. This professional team of technicians will visit your home or business and inspect your flooring. Then they'll use the best equipment on the market to clean your flooring, and when they're done,they’ll look, feel, and smell brand new. CarpetMasters Flooring Co. also specializes in stain removal and pet odor elimination. If you are looking for entirely new floors, drop by CarpetMasters Flooring Co. and browse the extensive inventory of high-quality flooring. The flooring installation team will show you everything they have to offer, from tile and laminate to hardwood and vinyl. After selecting the right fit for your home, they'll execute the entire flooring installation project, no matter how large your property may be. When your flooring is damaged, don't put off fixing it because you think it will be expensive. Call the flooring repair technicians at CarpetMasters Flooring Co. They'll investigate your carpet or hardwoods, assess the damage, and provide an affordable, long-term solution, regardless of the degree of damage. To find out more about carpet cleaning, flooring repair, and installation, contact CarpetMasters Flooring Co. by calling (636) 532-1311 today. Visit them online for details. We are a locally owned business. With 45+ years in the industry, We provide the Ultimate in service! 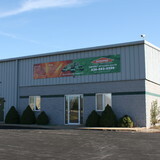 Originally Founded By Jimmy H. Jacobs as Reliable Cleaners in 1962. The company has continued to evolve to meet the needs and demand of the area and changing the name to reflect the changes to Smoke Services. Current Owner Michael Marler succeeded in 2012 under the revised name Smoke Services Restoration, Inc. Our Professional Team will ensure that we provide you the services necessary to you in your time of need. We offer these services to commercial and residential. 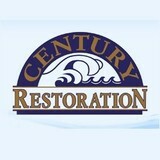 * Structure Cleaning and Restoration. *Content Cleaning and Deodorization. * Content Moving and Storage. * Water Extraction and Remediation. * Sewage Removal and Sanitation. * Structure Drying. * Emergency Board-up, Tarp, Winterization. * Smoke Odor Removal. * Carpet Cleaning and Deodorization. * Air Duct Cleaning. * Upholstery Cleaning. * Nicotine Removal. * Remodeling. * Flooring - Carpet and Hard surfaces. * Kitchen and Bath. Description: You'll feel like you're walking on clouds when you call the professional carpet cleaners at Absolute Carpet Care in Wentzville, MO. At Absolute Carpet Care they specialize in carpet cleaning, upholstery cleaning, stain and odor removal, and more. If you want a carpet cleaning company that you can trust call Absolute Carpet Care in Wentzville, MO. What should I look for in a local Town And Country carpet cleaner? Not all Town And Country carpet cleaning companies use the same methods, but there are a few common things that they should do to for a quality job. Make sure they do an analysis on the area you need cleaned and recommend the best course of action — are there large stains or high-traffic areas that need extra treatment or attention? Also, make sure they provide quick drying times so that you can be back in your home faster; that means hours, not days! A good carpet cleaning service in Town And Country, MO should move furniture (within reason) and put it back in place when they are all done; don't let them charge extra to do this. Another important factor to look out for is whether or not the carpet cleaners use chemicals, and if so, they should be asthma- and allergy-friendly. This is especially important for households that have children or pets. 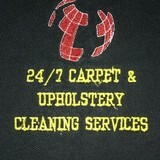 Lots of Town And Country carpet cleaning services also clean rugs. Rug cleaning can involve anything from a simple wash to complete re-weaving or foundation work. Make sure the local rug cleaner you choose has experience with the types of rugs you need serviced, especially if they are hand-woven or Oriental rugs. What should I look for in a local Town And Country upholstery cleaner? Upholstery comes in many more varieties than carpet and rugs, thus needs cleaning tailored to each specific blend. Even if you don’t know what material your sofa or chair is made with, a good upholstery cleaning service in Town And Country, MO will be able to identify it and treat it appropriately. Some textiles require dry cleaning and that can’t be done in home, so if that’s the case, check with the upholstery cleaner and see if they offer pickup and drop off services. Leather cleaning is a bit different and often involves more restoration and conditioning than actual cleaning. Make sure the Town And Country furniture cleaning service specializes in leather if you are considering them for the job. Find Town And Country upholstery and carpet cleaning services on Houzz. Narrow your search in the Professionals section of the website to local carpet cleaners in Town And Country, MO and read reviews and ratings to find one that fits your needs.